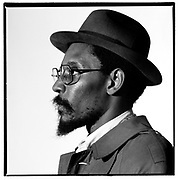 Linton Kwesi Johnson photographed mainly in the Brixton office of the Race Today organisation, with Darcus Howe, his militant spar. Linton set the agenda for the style that became known as Dub Poetry. 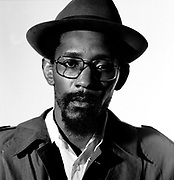 In Jamaica artists like Oku Onuora and the late Michael Smith similarly took up the mike for the purpose of word-power.